Ipswich, just a 30 minute drive from the heart of Brisbane, is a city waiting to be explored and appreciated and today I continue to share with you my Ipswich discoveries. The Top of Town heritage precinct of Ipswich city is lined with shops, cafes and galleries. I recommend you start exploring the city with a coffee and delicious home made treat at the delightful Rafter and Rose cafe. Occupying a tiny shop with lane way access, Rafter and Rose is my new favourite Ipswich cafe. Character and charm ooze from this delightful cafe from the moment you enter the lane way full of lush green plants to the shabby chic interior filled with a mix of books, plants and ornaments. When finished at Rafter and Rose pop next door to Upcycled Treasure and admire Sam Vine's upcycling works of wonder. See how Sam has clevely tansformed unwanted furniture items and brought them back to life with a new look. If you have ever wanted to learn how to turn a piece of furniture into something Shabby and sensational then you'll be happy to know that Sam runs regular courses which you can find out about here. Next head along Brisbane Street and when wandering along be sure to pop into Schudio Studio. 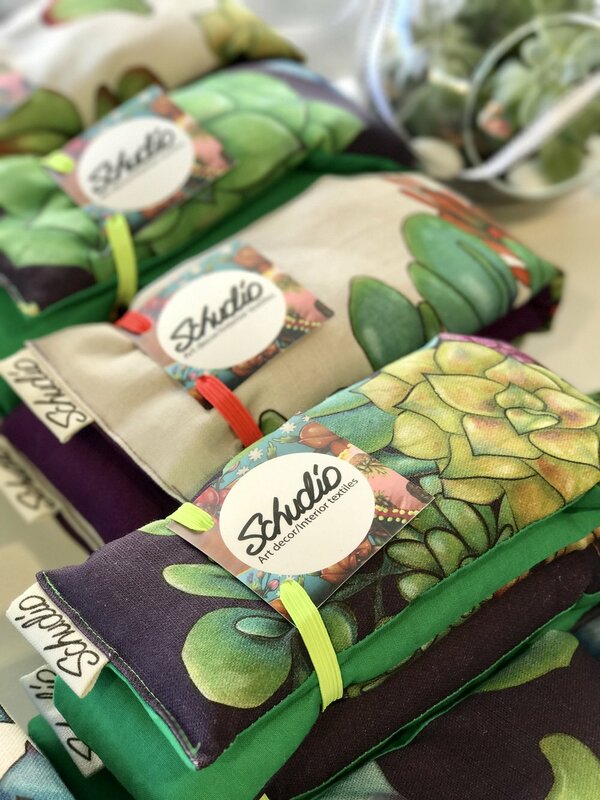 This fabulous creative space is occupied by two local girls who design and make a range of textile products and homewares on site, you can't get more locally made if you tried. 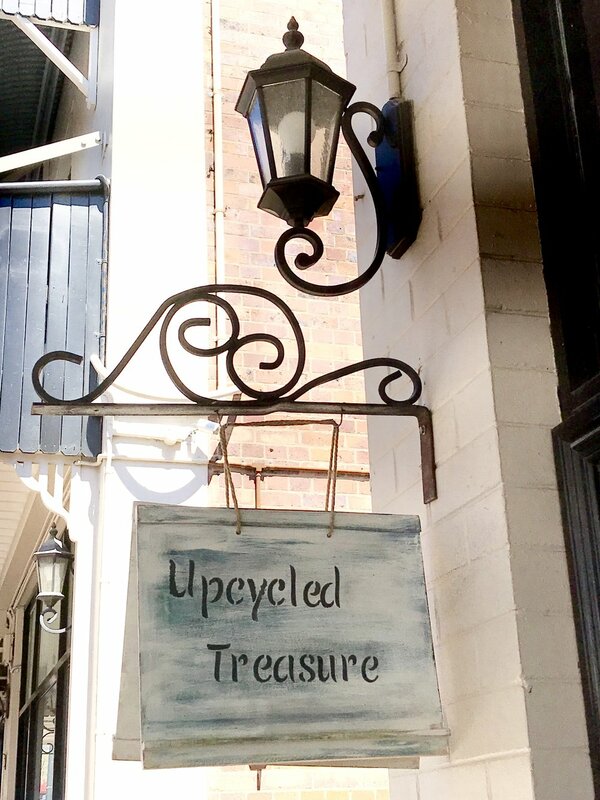 The shop also promotes other Australian designers and artisans and is like a treasure chest filled with jewellery, ceramics, soft furnishings, food deliciousness and other treats. Read more about Schudio Studio here. My next discovery was the Ipswich Art gallery housed in a 1861 heritage listed building. Accessible from Brisbane Street, the gallery classes itself as a visual arts and history museum presenting exhibitions and heritage displays as well as a great kids and families program. I was particularly impressed upon entering the gallery to see suspended from the roof a dismantled motorbike and was also interested in the Early Ipswich Pottery display. 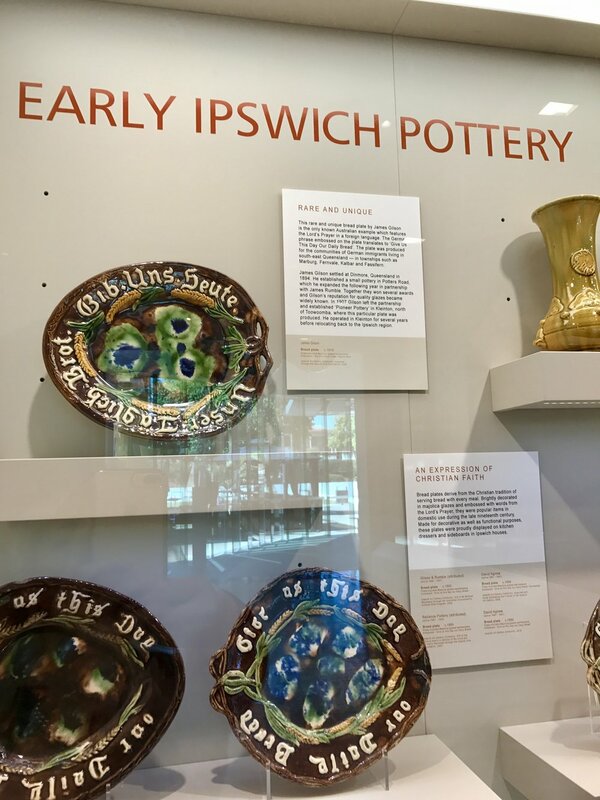 Discover the Ipswich Art Gallery next time you visit Ipswich. See events and open times here. I hope you have enjoyed my two part blog series, albeit short and sweet, there is so much more to discover in this heritage city that I haven't included. Plan a day trip or a weekend visit to explore and discover the city of Ipswich for yourself and let me know what YOU discover.